Your baby deserves the best ! We believe that there is nothing more precious, delicate and beautiful than your baby. We here at BUM CHICOO have created our designs with children AND families in mind. They are crafted with the utmost care and love. Made sustainably with ingredients that are kid friendly. 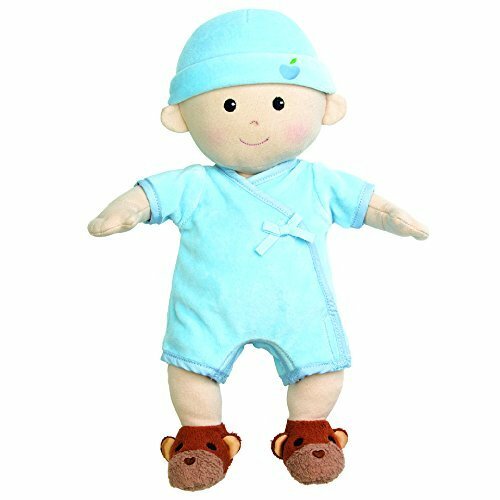 Whether you are looking for a baby gift, a birthday present or family gift, hope you find the perfect baby booties that will grow with your family. 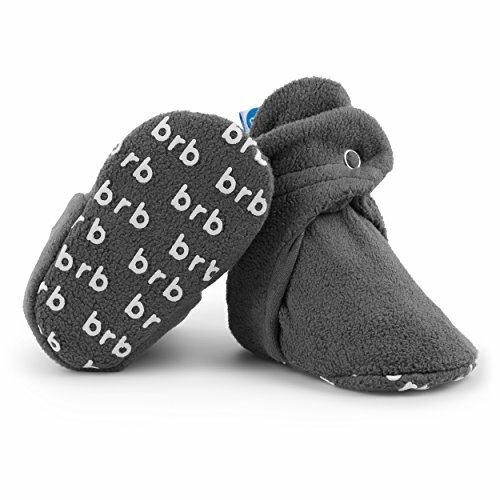 Aren't you tired of uncomfortable baby booties ??? 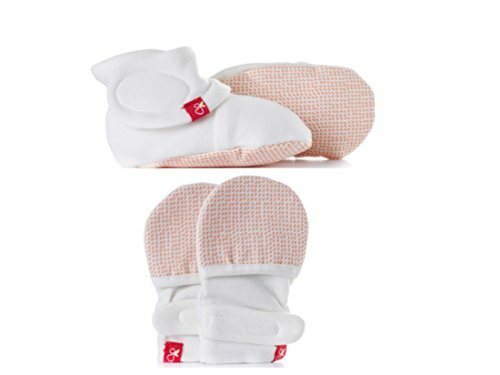 Whats new in our exceptional baby booties: - Our booties are made with premium quality cotton and polyester. 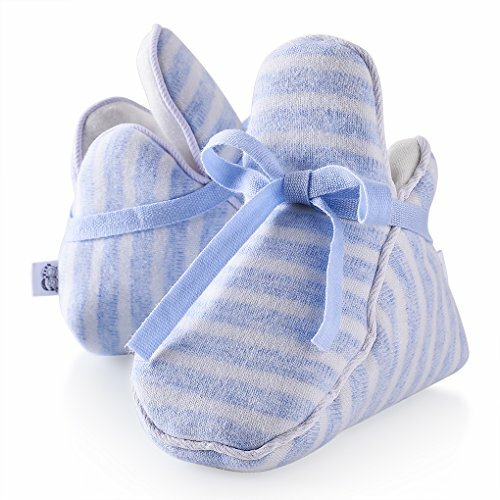 Hence these booties look gorgeous outside and comforts your baby foot inside - These booties are safe for your baby's legs skin as they are Carefully made from premium quality Cotton , polyester and A20 Dyes for printing. - With adjustable snaps on the booties, it is comfortable to wear, easy to take off and works perfect even for your new born little ones! !KEEP YOUR BEAUTIFUL BABY STYLIST AND COMFORTABLE !! !Click the add to cart button now and your baby will be in rocky style. And as always, let us know if you have any questions. We'd be happy to hear from you! Do you want only soft organic cotton clothing for your new baby? 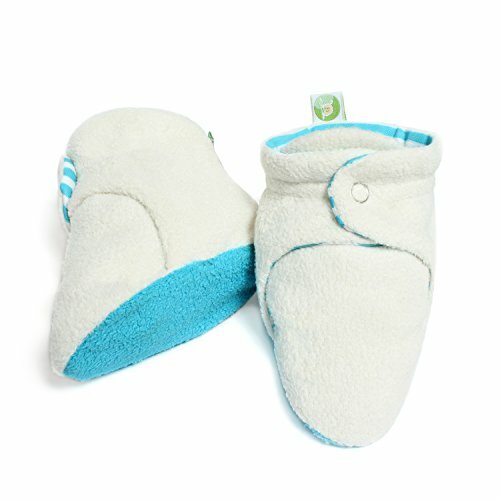 Are you looking for booties that will keep your baby's feet warm AND actually stay on Baby's feet? 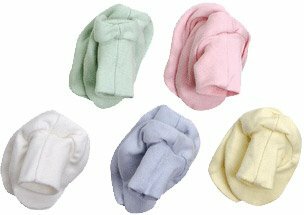 Our set of five pairs of all-natural cotton baby booties is the perfect choice! 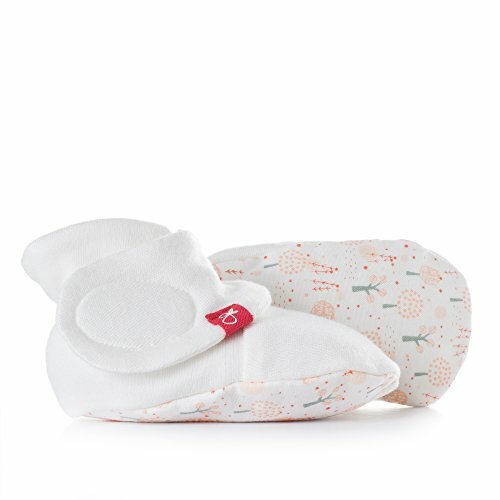 The booties are made from 100% organic cotton, certified by the Global Organic Textile Standards (GOTS), to be free of any pesticides, chemicals, or dyes, from the time the cotton is planted from organic seed until the time it's sewn into these adorable booties! They are made in the natural colors of cotton, in off-white, light brown, and light brown/off-white stripes, so they're neutral in color and can be worn by baby girls or boys to blend with any of their clothing. 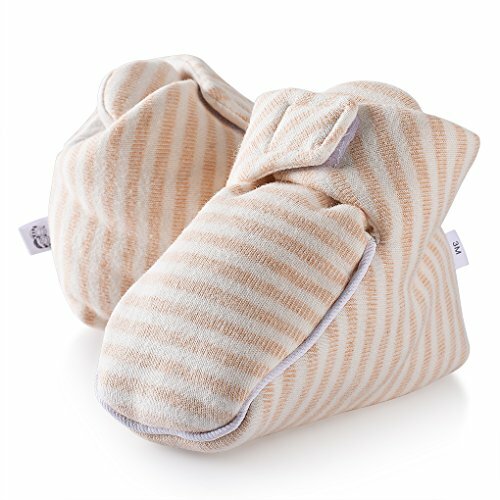 The organic cotton produces booties that are ultra-soft, breathable, and warm, and fit the ankles and keep the booties securely on Baby's kicking feet. 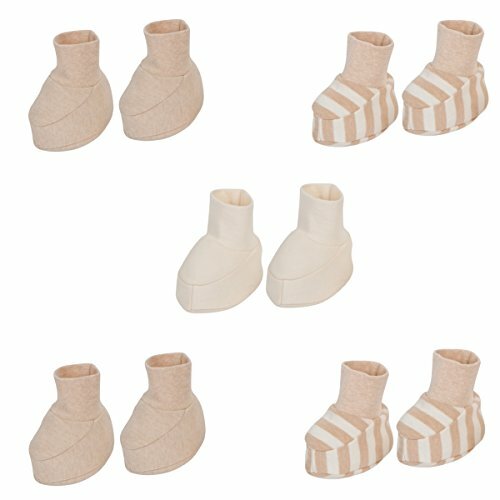 The five sets of booties include 3 sets in solid colors (1 off-white and 2 light brown) and 2 sets in light brown/off-white stripes. Booties are a wonderful baby shower gift, appreciated by all new parents, and they will be extra grateful that you got the very best organic cotton clothing for their new little one! Mix and Match with any of our Bodysuits & Coveralls to complete the look. Copyright © Wholesalion.com 2019 - The Best Prices On Organic Booties Online.